I'd known for a long time that using a store bought antiperspirant was a bad decision. Every time I'd put it on there was the nagging thought about the aluminum I was putting in my body. Did I want cancer or Alzheimer's disease? No! But after trying Tom's chrysanthemum scented deodorant, which didn't work and smelled horrid, I went back to my Dove unscented. Instead of using something harmful for my body, I decided to finally take the plunge and try homemade. Follow-through is what separates those who are living the dream from those that are still just dreaming! Anyway, I digress! First I tried using a baking soda, dusting under my armpits. That didn't work and was quite irritating to my skin. So, I decided to research homemade deodorants. There are many out there . . . most have similar ingredients. Some add an essential oil for fragrance or added antibacterial properties. I love the smell of coconut so this recipe is perfect for me! I've been using this homemade deodorant for 3 months, all through our hot summer weather in the Sonoran Desert of Arizona, and it works! Will started using it about a month ago. On Monday, while he was packing for his trip to Florida, he asked me to find a little container so he could take some of my homemade deodorant with him on his business trip. The verdict is in! I just got a phone call from Will ~ he said, "Your deodorant passed the test . . . my body is wet, but my underarms stayed dry!". It works great in steamy, hot Boca Raton too! So, don't put it off, mixing up a batch. You have nothing to lose and a whole lot to gain! I love that all the ingredients are found in the kitchen cupboards. Essential oil optional, if you want a different scent than coconut. 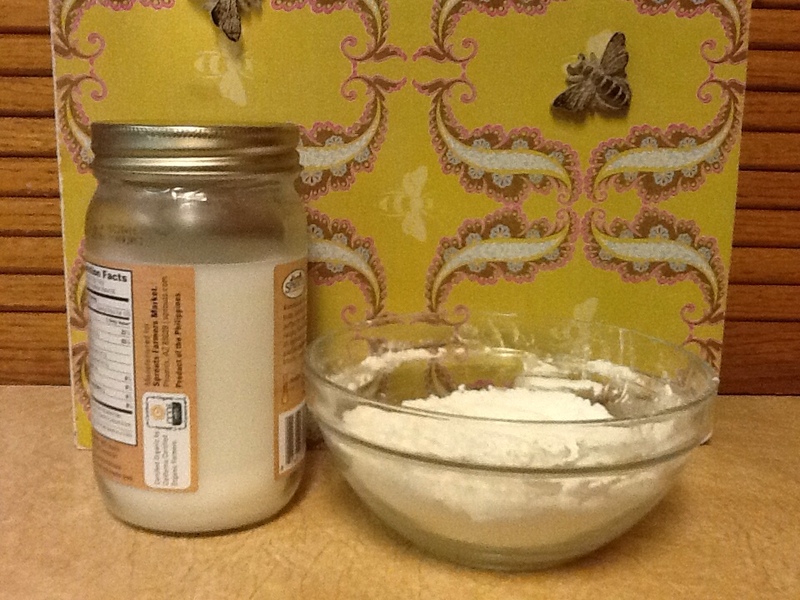 Whisk baking soda and corn starch together. Add coconut oil, beginning with 6 tablespoons (you can always add more). Use a mixer or work together with a fork. Use a small amount under each arm. This smells incredible and looks like cream cheese frosting! I did take a tiny taste and the baking soda makes it quite unpalatable, but it is safe, if a child decided to eat it! Can you say the same thing about store bought antiperspirants? The first couple of weeks I broke out from the baking soda if I put my deodorant on right after shaving. My solution? Shave before going to bed! Haven't had a problem since. I love the delicate coconut scent when I first put it on. The scent eventually fades and you just find yourself with no odor! An added bonus . . . The coconut oil works as an antiperspirant and doesn't stain your clothing! Coconut oil an hour in the refrigerator and dry ingredients whisked together. My coconut oil started out in liquid form because it's over 78 degrees here. I solved that little problem by placing the coconut oil in the frig, allowing it time to harden. 2 days after I made my first batch the coconut oil melted and separated. I put it back in the frig. to harden; gave it a quick stirring, and have had no more problems for over 3 months! It may be 107degrees F. here today, but I'm smelling good and feeling confident. . . Over at Julie's!!! What a wonderful alternative. I can't wait to try it. You won't be disappointed . . . especially if you like the smell of coconut! It's so easy to put together and it works so well! I just recently started trying to switch all my products to less harmful/ more natural things! But being in college not only do I not have time to make my own stuff, I don't have money! Was so happy to see this; it's cheap, looks easy, and hopefully works. I will be trying it soon! I will never go back! Pretty cool finding something that's safe, effective easy to make and cheap! What if coconut is not for you or you have an allergy to coconut? The scent of coconut doesn't remain and cane be covered up with an essential oil or EO combo. Being allergic to coconut is a totally different situation! 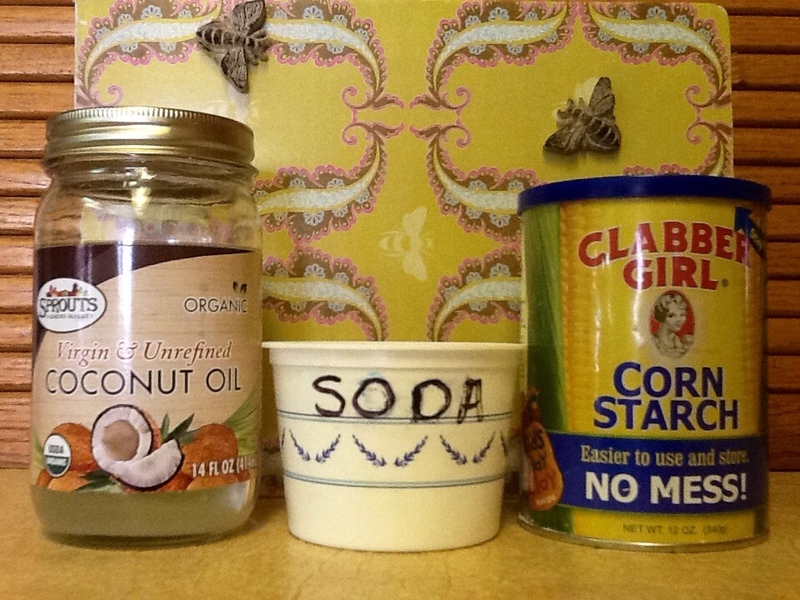 In googling I have found an alternative, but you will have to purchase quite a few items to make your own deodorant. any solutions? or did anybody else encounter this? thank u for sharing. This blog site might just have the answer you are looking for! I just have to ask, your baking soda is aluminum free, right? This is my 3rd try on answering this question. Baking Soda is just sodium bicarbonate. Baking powder is the product that they put aluminum in. There are 2 companies I use who keep their baking powder aluminum-free-- Rumford and Argo or I make my own DIY baking powder. I talk to people about this topic all the time. It's hard for people to change when it has to do with something as demonized as body odor. The more people discuss it, hopefully the more awareness will be drawn to it. Thanks for blogging. I'm planning on making up some homemade deodorant to add to the spa baskets I'm creating as Christmas gifts! Thanks for this! I've been using the coconut oil and some bicarbonate of soda I had lying around and have to say, although I've still been perspiring a bit, it is at least odourless. I will be getting some corn starch to complete the mixture as laid out in your article but I was wondering if you could tell me what each ingredient does in respect of this recipe. What is responsible for what? Glad you're giving it a go! The cornstarch absorbs, the baking soda combats body odor and the coconut oil holds it all together and acts as an antiperspirant. Some like to add a bit of tea tree essential oil which is an antibacterial and I believe also an anti fungal. It's me again! Hi Sarah! Just found out that organic unrefined coconut oil is also anti microbial, anti fungal, antibacterial, antiviral! 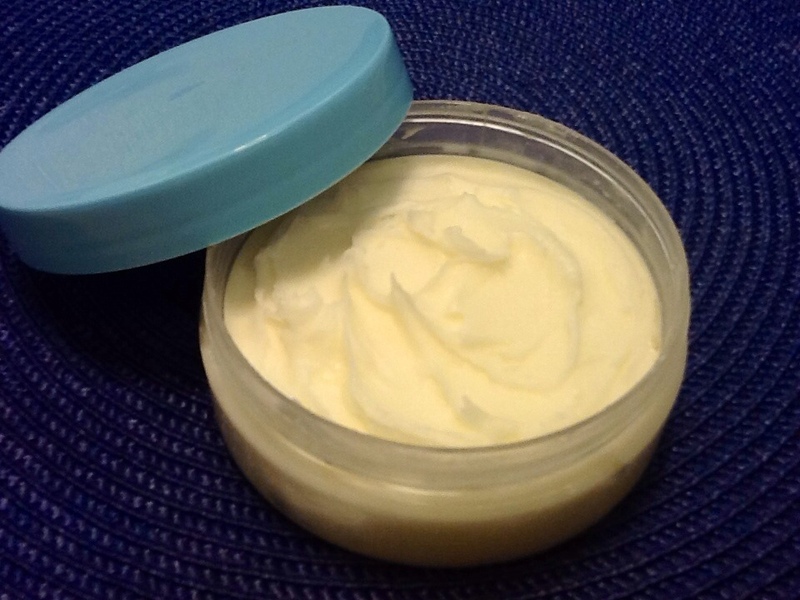 I'm working on making homemade body butters for Christmas presents and the coconut oil works as a natural preservative because of the above mentioned properties. Have tried the regular, chemical ridden, health killing, cancer causing, soul destroying products off the shelf but have lately become very conscious of what I subject my body to, and these things are poisonous, no two ways about it. However, I am ecstatic to report that Julie's amazing solution has been working wonders for me. I've been putting it on just before going to bed and then showering the next morning and I am pretty much dry all through the day. There's been the occasional little damp patch, nothing like normal, but even I can deal with that. Don't get me wrong, when I've done my exercises I have still sweat, but again, nothing like normal and the great thing is, it just doesn't smell! If anything it smells quite nice!! I shower straight after, and don't need to apply anymore till the just before bed as it seems to last. Only problem now is I can't stop touching my armpits and sniffing ;) but I'm sure that will wear off when the realisation that I'm now stench and damp free sets in! Thanks Julie for this, I am so happy! Have also started using the bicarb and coconut oil as a toothpaste and that feels great too. Wow, that's quite a testimonial! So happy for you! Thanks for sharing your personal story with all of us! This simple recipe sure does help simplify our "sweat" issues! I'm about to make my 3rd batch! My husband and I love everything about this deodorant. Thank u! It's wonderful both you and your husband are using this safe alternative! It took Will about a month before he took the leap and switched. So glad he's sold on it and the homemade laundry soap, body soap, shaving soap, shampoo bars, body butter, creams lotions, and lip balms I've made! Keep making small changes . . . They add up to a healthier you! Hi! I see this post is a bit old, but I was wondering if the liquid form could still be used. Do you think it would work to use one of the reusable roll-on containers? Just give it a shake and apply? Hi! This deodorant will not stay liquid unless the temperature of the coconut oil is above 78°F. I am excited to try this right away, as I am not happy with the aluminum free deodorants that I have tried so far. My son also suffers with terrible foot odor. I am going to have him try this on his feet.